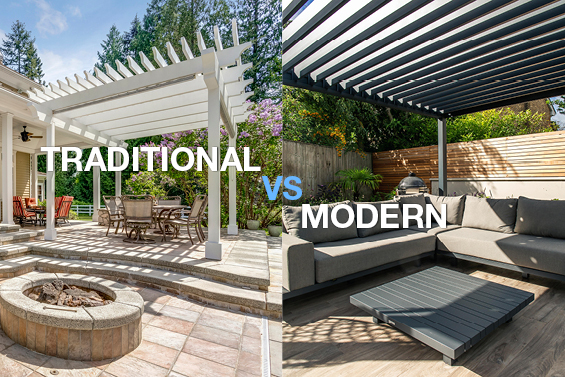 Why Choose a Modern Pergola over a Traditional One? You can get more for your money with an aluminium louvered pergola. 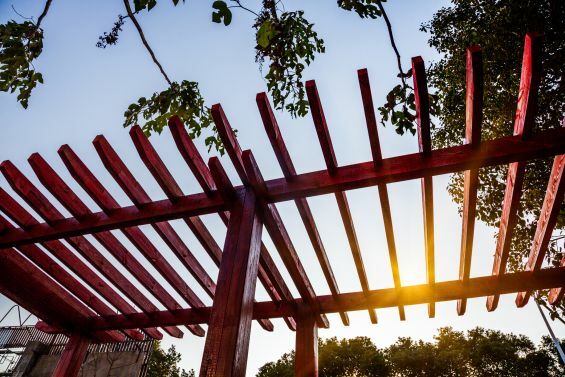 When it comes to garden design a pergola is an attractive feature to implement as it serves as a dedicated shaded outdoor living area to relax in and it provides an aesthetic appeal to your external space. 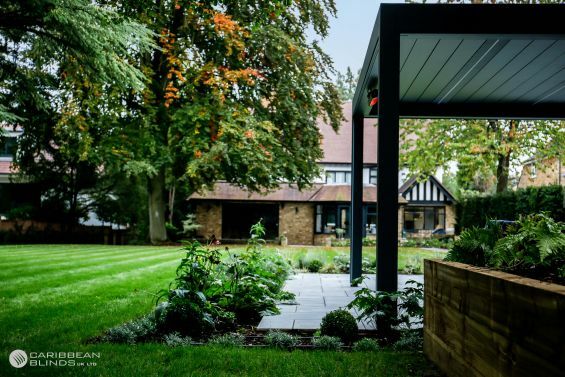 Most traditional wooden pergolas can be made bespoke to your requirements to coincide with your landscape design but are these traditional wooden pergolas enough anymore? These types of pergolas have been a popular choice for many years, they are visually pleasing and a cheap outdoor living solution, and they can be constructed and styled in various ways to create something spectacular for your space. As great as these old-style pergolas are they do come with some drawbacks in comparison to the contemporary style pergolas. The material the traditional pergolas are made from can be its main vulnerability if this is not maintained and treated. Wood being the main factor of this structure means when it is exposed to the outside elements it can have a detrimental effect causing the wood to rot over time and eventually made irreparable. 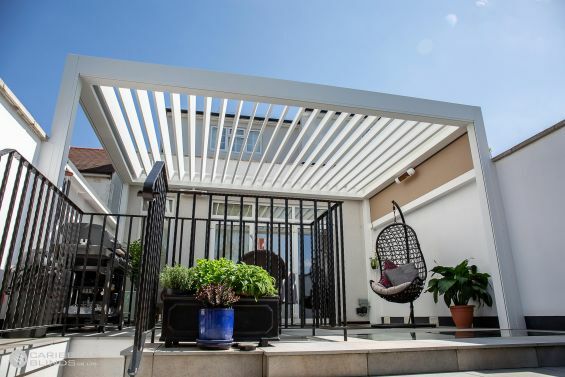 The unpredictable British weather can be hard to keep up with and the wooden pergola is only ever useful when the sun is shining, because of its design it is not able to shelter you from light showers effectively. The traditional wooden pergola is a garden feature that has been solely designed for summer purposes as it is unable to be flexible for your needs, if you are looking for a simple summer solution then this is a cost-effective viable option. What if we told you you can get more from a Modern Pergola? A pergola with an automated roof that you can control. The Outdoor Living Pod™ is the present-day pergola that takes outdoor living to a whole new level that leaves the traditional pergola in the past. It may be a little more expensive but it comes with many more benefits that will justify the price. The aluminium louvered pergola is a long term investment that will transform your living space and your lifestyle. Its automated watertight louvered roof combined with integrated weatherproof side screens means that you can essentially create a whole new external living space that can be used all year round, not just for summer. The roof is remotely operated using a single motor, the louvers can rotate and slide (dependant on model) giving you precise control of the amount of light entering the outdoor living space. This type of automation means that you can create the perfect atmosphere for every occasion. At Caribbean Blinds we have been specialising in outdoor living for a number of years and we have a team of dedicated specialist that can make the Outdoor Living Pod™ as bespoke as you need it. Visit our dedicated Outdoor Living Website and read more about the great benefits and optional extras that come with the innovative modern day pergola. Alternatively if you would like to talk to a member of our team call 0344 800 1947. Visit our YouTube Channel to see some of our products in action.